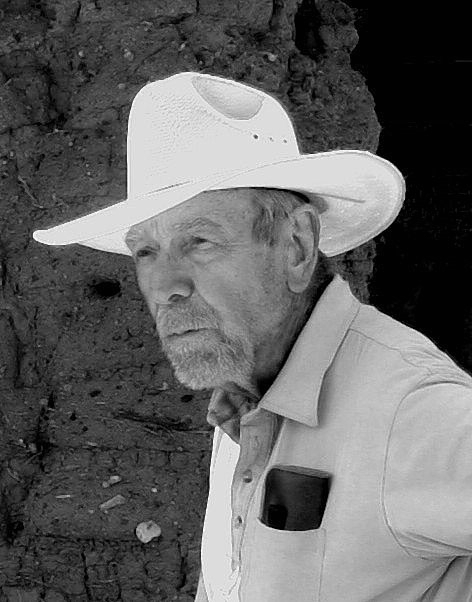 Our dear friend and colleague Gerald Raun passed away March 25, 2009 in Alpine, Texas. He will be greatly missed. Services are to be announced later. Gerald Raun was born July 14, 1932 in Maryville, Missouri. After living in Lincoln, Nebraska, San Francisco, California and Tulsa, Oklahoma his family moved to Odem, Texas, where he graduated from high school in 1949. Gerald enrolled at the University of Texas at Austin in 1956 and received an M.S. in Zoology in 1958 and a Ph.D. in Zoology in 1961. His thesis was an ecological study of the terrestrial and aquatic vertebrates of Palmetto State Park, a moist, relict area in Central Texas. He was awarded a Welder Wildlife Foundation Fellowship and spent three years at the Welder Wildlife Refuge near Sinton, Texas, where he completed the fieldwork for his dissertation, a study of the population dynamics of the wood rat, Neotoma microus. Gerald was appointed Curator of Zoology at the Texas Memorial Museum in Austin, in 1960, where he served until accepting an appointment as Assistant Professor of Biology at North Texas University in Denton in 1967. He was promoted to Associate Professor, and in 1970, moved to Angelo State University in San Angelo as Professor and Head of the Department of Biology. He remained at Angelo State until 1978 when he resigned and entered private business. He became involved in advertising, including positions with the San Angelo Standard Times and the Thrifty Nickel. He became publisher of the Devil's River News in Sonora, Texas and in 1989 moved to Alpine as publisher of the Alpine Avalanche. He retired in 1993 and returned to research interests including Trans-Pecos cacti and the history of the Big Bend, particularly as affected by the Mexican Revolution 1910-1920. Gerald served for almost ten years as Editor of the Texas Journal of Science and was a Fellow and Honorary Life Member of the Texas Academy of Science. He held offices as Secretary, Vice President, and President of the Texas Herpetological Society. He was a member of the Board of Scientists, Chihuahuan Desert Research Institute, the Advisory Council of the Center For Big Bend Studies, and also served on the Center's Editorial Advisory Board. He was an adjunct Professor of Biology at Sul Ross State University and served on the Alpine City Council. He authored two books, one book chapter, several monographs and over 50 scientific articles dealing with amphibians, reptiles and mammals of Texas, and more recently on cacti. He has also authored several historical articles, which have been published in the Journal of Big Bend Studies. In 1997, Raun completed an index for the Journal, and most recently he completed another index for the publication (volumes nine through nineteen) to be published later this year. Condensed and edited from "Spotlight on Gerald and Dian Raun," in La Vista de la Frontera Newsletter of the Center for Big Bend Studies, Summer 1997, Sul Ross State University.